Hey, i'm not a flyer of AA but this weekend i was suppose to get a first trip on a MD-83 back to Toronto but sadly got cancelled and was unable to get back direct for days on the MD-80 so i had to cut my losses and fly home Via MIA on a 737 and A319 but i am wondering if anyone here has some more info on what routes they fly that should be cheap for a quick trip out of Toronto. looking at the schedule for YYZ-DFW it ends on the 14th of February sadly. or should i just try and get a Delta MD-88 flight and not worry about the AA MD-83's seeing how there apparently very similar. 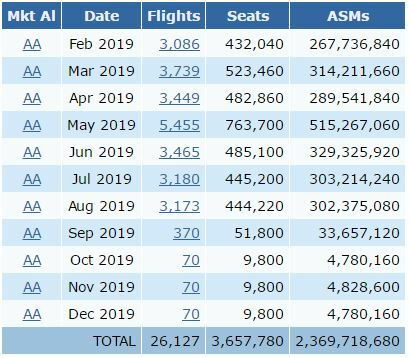 The number of routes that AA flies with the MD-80 is very slim at this point (they are all slated to retire this year). If you like the airplane that much, I'd suggest flying Delta as they are soon to be the only of the major airlines to operate the type. DFW<>DSM is a Mad Dog for the MD-80 on one daily flight each direction. Typically last out of DFW and first out of DSM next day. Find the right date and you should be able to get a pretty cheap price, DSM is not a high demand airport. Still using them CMH-DFW. I go out of my way to book them. Great recline and 3 windows to myself in 6F. They are only 1 frequency each way now, sadly. Does anybody know precisely when they will completely discontinue the flights? AA 1492! I flew that route on a reduced miles saver economy award with a friend, we both got upgraded to first. Quite possibly the best use of AA miles domestically for me so far. DFW<>OMA has them almost exclusively as well, at least for the moment. I'm scheduled to fly it next month. Rumor (from airliners.net) is that the last flights will be at the end of summer, which makes sense. However, AA has not posted the final routes. I believe that as of now all flights are out of DFW and do not touch another AA hub. Flew two weeks ago MCI-DFW in MD80 in F. SO much more comfortable than the 737 MAX in F I flew Sunday night DFW to SLC. The MD80 will be greatly missed. It is so much more pleasant to fly over the new 737 MAX, both in F or Y.
IIRC, there is at least one daily DFW-IAD in a MD80. I might take a hop in one to do it one last time. DFW-OKC still runs one M80 route a day. This surprises me, because I thought for sure I'd heard that the last flights would be in September. I'm wondering if there are some schedule update issues that we're seeing here. Hope this helps you all in your MD-80 trip planning! JDiver, Daze, Mikey likes it and 11 others like this. From Airliners.net there's speculation those Oct-Dec flights to/from MFE and VPS are a placeholder for now. Seems strange AA would hold onto a couple of a/c for flights to two destination for that 3 month period. That would make sense. I highly doubt they stick in the schedule for much longer. I really want to be on the last flight - when do you think we'll know what it is? I wouldn't even mind sitting in 20D. That was my seat for many years before I was EXP. JDiver and nancypants like this. It could be a mass retirement in late August or right after Labor Day. IIRC AA retired 20 in one day a couple of years back. 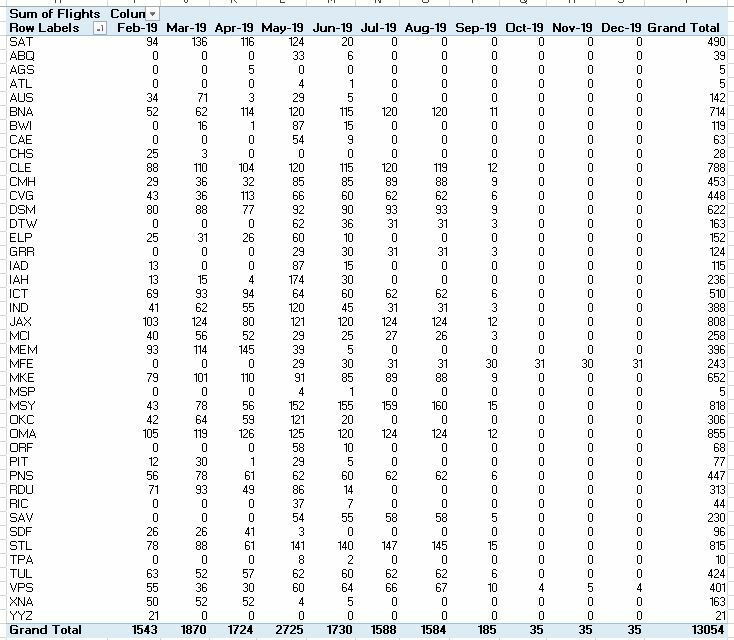 I think those destinations over 100 flights for August would be a good bet although the last flight might not be until post Labor Day.